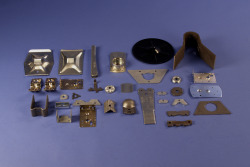 Custom Design of Stamping Assembly and Tube Processing Available by Venture Mfg. Co.
Venture Mfg Co. has always made sure to provide the best in service and product to its customers through efficient, performance-oriented and expert manufacturing process. When it comes to offering custom metal stamping services to clients, Venture Mfg Co. takes care of the entire process from concept to completion and caters to the clients according to their custom business requirement of metal stamping services. Venture Mfg Co. proudly employs expert and experienced engineering staffs who are perfect in offering high-quality custom design stamping services keeping in mind the clients’ business requirements and necessities. Apart from that we also provide world-class custom processing tubes and use robotic welding and plasma cutting capabilities for better precision and efficiency. We rely on innovative and world-class technology to achieve best results out of our dexterity, hard work and sincere operational methods. What’s more! We also provide stamping redesign solutions to companies who are looking for manufacturing their products in large quantities and high volume. Hence, we assist our clients in cost reduction and improvement in productivity and quality. Our stamping rebuild services generate greater benefits for our customers and clients who are seeking efficient, cost-effective and high-quality custom metal stamping and other related services. 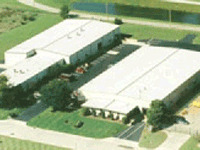 Why Customers Rely on Venture Mfg Co. for all their Custom Metal Stamping Requirements? We pay complete attention to details while providing custom stamping services to client tin order to understand their business requirements and goals. We provide high level of efficiency through our service provision based on innovation, technical superiority and expert field-knowledge. Our cost-effective service provisions make sure to add value to our solutions and this in turn allow our clients to reap maximum benefits through a long term association with us. The time taken by us for project completion and delivery of products is always in concord with clients’ requirements and urgency. We always stay proactive and responsible towards timely delivery of quality goods. In short, Venture Mfg Co. is the one-stop solution for clients who seek perfection, performance and excellence in varied kinds of custom stamping services and associated solutions, without fearing any hefty charges or other logistics-related complications.